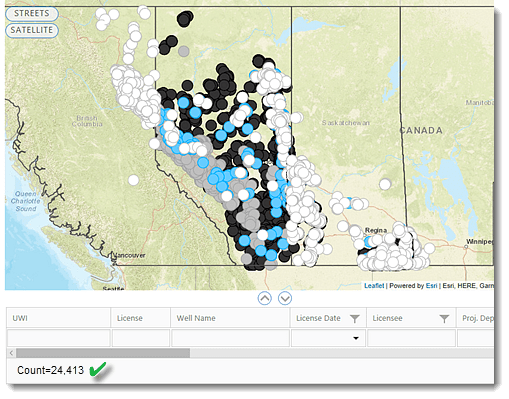 Powerful and searchable maps on well licenses and spuds covering Alberta, Saskatchewan, British Columbia and Manitoba. Customize your areas of interest or use predefined ones such as PSACs. Operator: Explore where operators are licensing and drilling. Drilling Contractors. Locate any active rig or driller. Projected depth. Find new wells that fit specific rigs capacity. Well Profile: Discover Horizontal, Vertical and Slant wells. 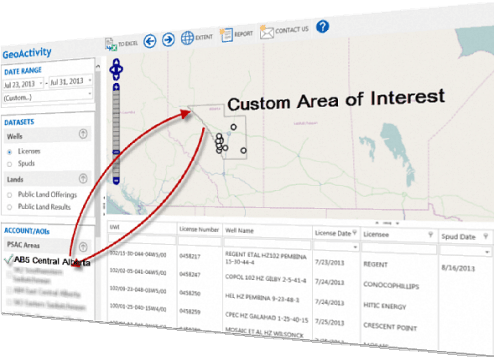 Substance: Visualize the next Oil, Gas, CBM, LPG or Bitumen play. Regardless of the dataset size, information at lightning speed. Search and Analyze years of information within seconds. Our sophisticated database engine can transform thousands of insolated data into comprehensible summarized information. Our Datasets cover Western Canadian provinces of Alberta, Saskatchewan, British Columbia and Manitoba. 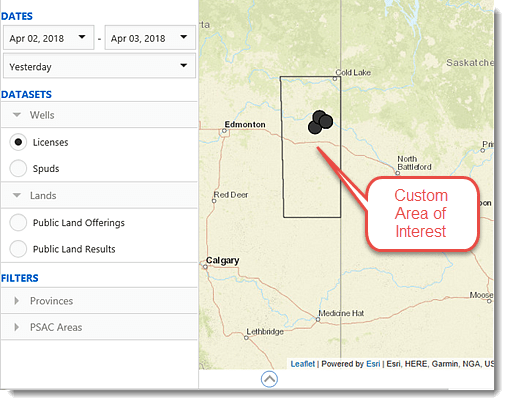 See your wells and land selection on a map. 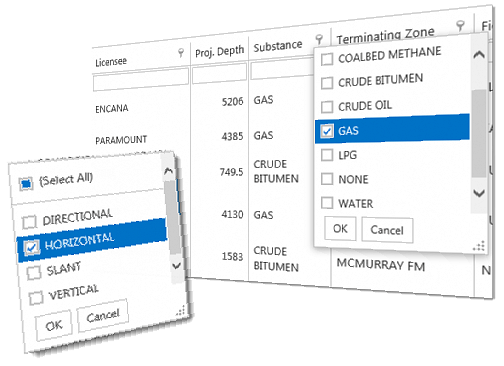 Our clients can create their own geographic areas of interest and apply user defined filters such as Operator, Depth intervals, Substance(Oil, Gas, Water, Bitumen), Terminating Zone, Well Profiles(Horizontal, Vertical, Slant) which allows them to discover and reveal insights hidden in the data. Exporting your data is always available with one click.